Take a globetrotting journey all over the world—and beyond!—with this companion art book to the hit video game for the Nintendo Switch™ system. The Art of Super Mario Odyssey is a thorough guide through the creation of one of Mario’s greatest adventures. Complete with original materials and notes straight from Nintendo, this beautiful edition is translated from the original Japanese text. The Art of Super Mario Odyssey is the latest in the line of beautifully made Mario books by Dark Horse, following the Super Mario Encyclopedia published in late 2018. In October of 2017, Super Mario Odyssey™ took the gaming world by storm. Now, discover the art and expertise that went into creating one of Nintendo’s best-loved games! This full-color hardcover volume clocks in at 368 pages and features concept art, preliminary sketches, and notes from the development team, plus insight into some early ideas that didn’t make it into the game itself! Explore the world of Super Mario Odyssey from every angle, including screen shots, marketing material, and more! 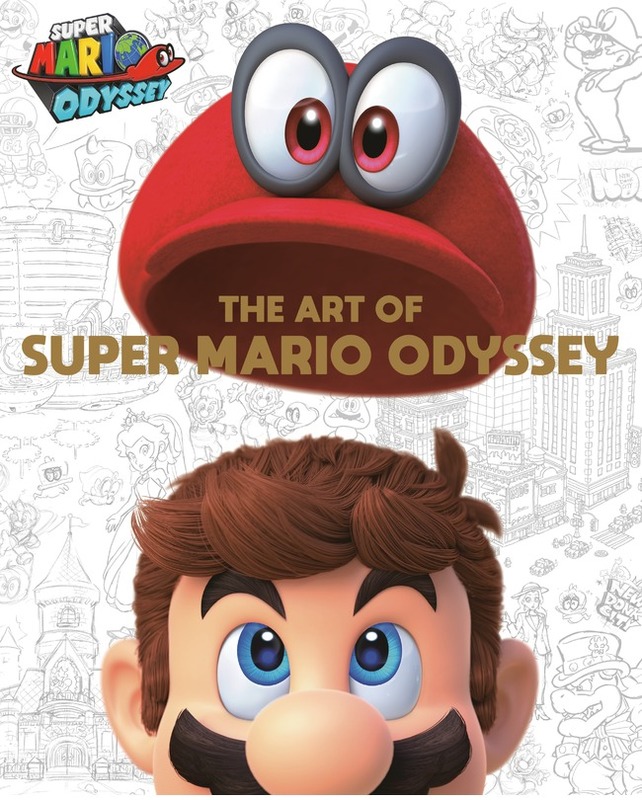 The Art of Super Mario Odyssey goes on sale October 22, 2019, and is available for pre-order on Amazon, and at your local comic shop. Be sure to pick up a copy of this hardcover art book for $49.99.